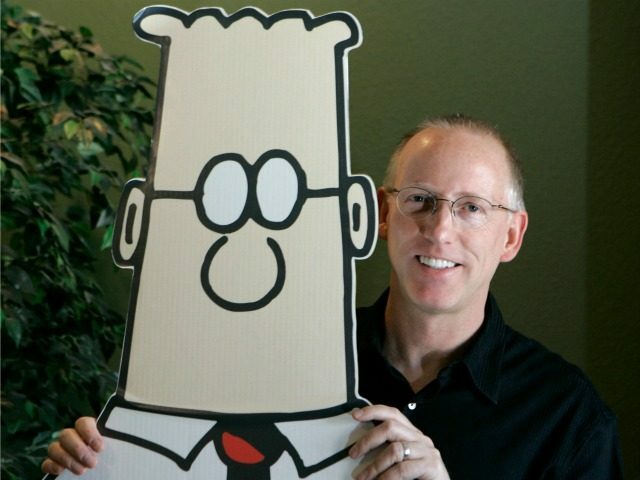 Adams posted an article to the Dilbert blog regarding his shadowban on October 3rd. In the piece, Adams says that he didn’t notice that he had been shadowbanned until many of his followers reported being unable to see his tweets on their timeline. Adams noted that the shadowban seemed to coincide directly with him requesting that his followers send him videos of Hillary Clinton supporters attacking Donald Trump supporters. Why did I get shadowbanned? Beats me. But it was probably because I asked people to tweet me examples of Clinton supporters being violent against peaceful Trump supporters in public. I got a lot of them. It was chilling. Adams says that earlier in the week he had been bombarded with comments and notifications from “Clinton trolls,” as he calls them. He believed that this was a coordinated attack on his Twitter account as he has openly defended Trump on multiple occasions. Adams attributes this sudden influx of Clinton supporters to an article written about him on Slate. Adams also notes that the only speaking event he had scheduled for 2017 was cancelled as the organisers felt they had to “go in a different direction.” Adams suggests this was also a result of the negative light he has been painted in by the media following his support of Donald Trump. All things considered, I had a great week. I didn’t realize I was having enough impact to get on the Clinton enemies list. I don’t think I’m supposed to be happy about any of this, but that’s not how I’m wired. Mmm, critics. Delicious.